Dr. Jean Layton-Gluten Free Doctor: What can you drink gluten-free? What can you drink gluten-free? Recently diagnosed, and wondering what you can or can’t drink? You know you can’t eat gluten … but what is in your mug? There are many drinks that you can enjoy, whether hot, cold, alcoholic or not. pure fruit juice – no gluten in this – just flavor and vitamins, and lots of natural fruit sugar without the benefits of fiber. plain tea is gluten free, as should be any milk or sugar that you add. There is no such thing as a "cross reaction" to gluten. 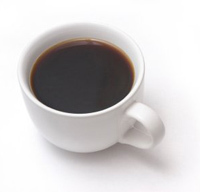 coffee substitutes, such as chicory blends or decaffeinated drinks may contain gluten. pure cocoa powder is gluten free, but check instant hot chocolate because these may contain wheat or barley malt as a sweetener, especially in the "healthier" versions. Sodas sweetened with sugar, artificial sweeteners or HFCS (high fructose corn syrup) are likely gluten free. Caramel color made in the USA is gluten free. Check for barley malt. avoid malted drinks (because of the malt). Ovaltine, and Carnation Malted Milk powder are made from barley. ciders, sherry, port and liqueurs are gluten free unless a flavoring has been added back to the product. spirits are gluten free as long as no gluten product is added after distillation. Yes, including malt whiskies, because of the distillation process. But be careful of cocktails, which may have a gluten-containing product in the mix. most beer, lager, stout and ale contain gluten from barley or wheat, so avoid these. There are so many varieties of gluten free beers available.